'Canal Zone' Collages Test The Meaning Of 'Fair Use' Art world superstar Richard Prince is appealing the 2011 ruling that found him liable for copyright infringement. Prince used dozens of images by photographer Patrick Cariou to create collages that his gallery then sold for millions of dollars. 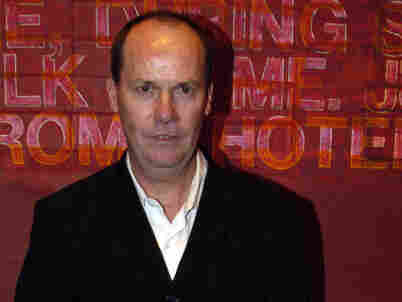 Artist Richard Prince is appealing the 2011 ruling that found him liable for copyright infringement. 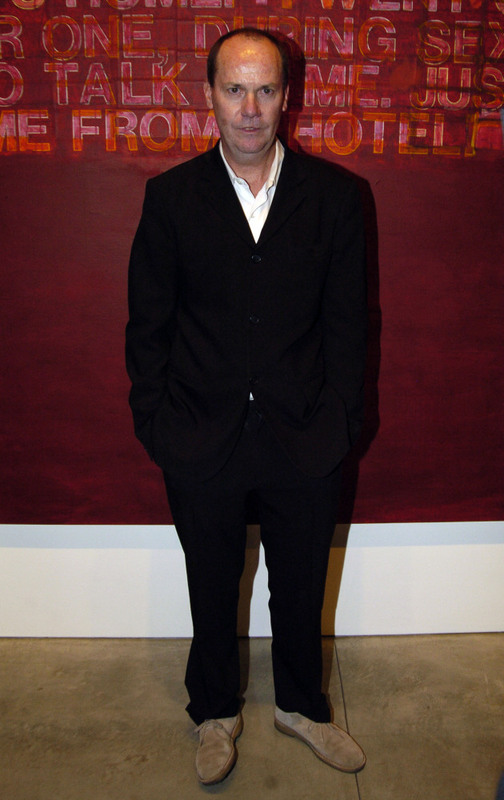 Richard Prince is an art world superstar. His paintings sell for millions, and many hang in the world's great museums. But one recent series of works cannot be shown in public — at least, not lawfully. Last year, a judge found Prince liable for copyright infringement for using the photographs of another artist without permission. A federal court in New York is set to hear Prince's appeal Monday, and the outcome of that appeal could have major implications for the art world and beyond. Prince doesn't dispute the basic facts in the case. He acknowledges appropriating dozens of photographs of Rastafarians from Patrick Cariou's book, Yes Rasta. Prince took the original pictures, cut them up and juxtaposed them with images of guitars and naked women for a series of collages he called "Canal Zone." Prince's gallery then sold some of the paintings in the series for $10 million. Learn more about the case and see some of the images from Richard Prince's "Canal Zone" series. "If you rip out photographs from somebody else's book, put some paint on them and sell them for $10 million, it does seem to most people — and to the law — that there should be some consequences," says lawyer Dale Cendali, who filed a friend of the court brief in the appeal on behalf of the American Society of Media Photographers. Cendali, a partner at Kirkland & Ellis LLP, applauds the ruling last year by a federal judge who found Prince liable for copyright infringement and ordered him to hand over all copies of the works to Cariou. It was a resounding victory for the French photographer. But lawyer Virginia Rutledge says it's based on a misreading of copyright law. "What the court missed unfortunately in the trial court level with Richard Prince," Rutledge says, was "the work that he has made using imagery including some from Patrick Cariou's photographs says something different, something new." Rutledge filed a friend of the court brief on behalf of the Andy Warhol Foundation in support of Prince. Warhol was himself sued for taking other people's images without permission, although he always settled out of court. In this case, Rutledge argues that Prince transformed the original photographs into a new work of art. "The work that Richard Prince is being charged with thievery for, essentially, is instead part of a long-standing tradition that's well understood in the visual arts of making something new from material that's already out there in the word." Rutledge says. "That is finally the test for fair use." For me, a lot of what I think about is this idea of continuation. That's all it is really — it's something that's added on from what has been done before me. It's rare for fair use lawsuits in the visual arts world to get to court at all, and that's why everyone is watching the outcome in Cariou v. Prince. Attorneys for both artists declined to be interviewed for this story, for fear of offending the appeals court. But Prince did talk about his artistic philosophy in a 2007 interview with Vice magazine's online video network. "For me, a lot of what I think about is this idea of continuation. That's all it is really — it's something that's added on from what has been done before me," he said. Prince has been playing on traditional notions of authorship and originality since the late 1970s. His earliest success consisted of taking images from advertising, including the Marlboro Man, which Prince re-photographed and manipulated. Later on, Prince took famous books by other writers, slapped his own name on the cover in their place, and sold the result as a new work of art. [Prince's purpose] was not to give new meaning to the appropriated images. It was simply to use them, as he said, as raw materials, to serve a new aesthetic, and for his own artistic purposes. Prince's deadpan style did not seem to do him any favors in the Cariou case. In his deposition, Prince admitted he did not intend to comment directly on the Rasta photos he used — which is one factor the court cited in its ruling. "In this particular case, Mr. Prince testified about what his purpose was," Cariou's lawyer Daniel Brooks said at a recent panel discussion at New York Law School. "It was not to give new meaning to the appropriated images. It was simply to use them as he said, as raw materials, to serve a new aesthetic, and for his own artistic purposes." Brooks, a partner at Schnader Harrison Segal & Lewis LLP, says that alone is not enough to prove fair use. If it were, then anybody could grab any photo they want off the Internet, use it in a collage and owe the original photographer nothing. Dale Cendali, the lawyer for the American Society of Media Photographers, says artists should be allowed to use photos. "They should be able to do it in a way that reasonably compensates the first artist," Cendali says. "Because otherwise, you could end up with a situation where you literally kill the golden goose. Where you no longer have people creating that original work that other people would like to copy and use in their own efforts." If the lower court ruling stands, it could have implications far beyond the art world. Take the search engine Google, which filed its own friend of the court brief in the case. In order to help you find what you're looking for on the Internet, Google has to copy a lot of copyrighted material — without commenting on it at all. Google's lawyers say a narrower reading of fair use could be "dangerous" to the company's business model. That's just one more thing the Second Circuit court may have to consider when it hears the case Monday.